Most of you had already heard about Chromecast from Google. It is an inexpensive but great gadget that enables mirroring one’s desktop PC to your television. You can perform the same task if you are having an Apple TV and Mac or iOS devices. With low cost of just $69, Apple TV is a worth gadget. But the rumours on the air is that Apple is about to announce its newest version of Apple TV. So if you have decide to buy a new device then just wait until the new version of Apple TV get released. If you are desperately in need of such device then you can gladly have Chromecast which works along with iPad and iPhone without mirroring and works with OS X with mirroring. This facility is available till you use Chrome browser and Chromecast plugin. If you haven’t yet tried your Mac or iPhone or iPad along with your Apple TV, then you have missed something that was really funny. Apple TV functions itself like an AirPlay Device, works in identical with ‘casting’ of Google. It means you can just watch the content over big screen. This one ensures better development of technologies and to work without any problems. What you need is just a Mac especially manufactured after 2011.Along with Mac you also need Apple TV at least of second generation coupled with a network to get connected. You have to make sure that the Apple TV is enabled to be used as AirPlay display. Otherwise this will not function properly. To make it enabled you have to open up ‘Settings Menu’ from the main menu. 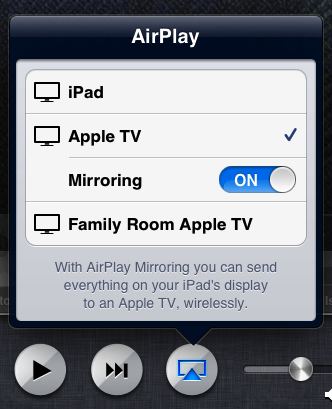 From there you have to select, ‘AirPlay’. You can perform a number of certain activities out there. This includes changing the name of your Apple TV and customizes certain additional security features. Also another feature is that it enables playing music wit h the help of iTunes from iCloud. All caution must be given to “turn on” the AirPlay. The user must check for the Display settings inorder to mirror certain contents from Mac to Apple TV. The most easy and time saving method is to unleash System Preferences and tap on ‘Displays’ or ‘Spotlight displays’. In the case of already opened Settings menu then you can begin the mirroring options. When the AirpPlay icon is not seen on the menu bar, make sure that Apple TV is made on. In short we the users are able to mirror Mac’s display by pressing AirPlay icon and making it join to the respective AirPlay Display . After initiating Apple TV, tap on AirPlay and select certain paths to AirPlay Display. This would ultimately result in extension of desktop PC to the Airplay display. When this the resolution of the desktop tries to have a better match for HDTV formats and when it is attached, this will ensure clarity image from the old desktop. If users are interested in making changes to the settings to AirPlay display settings then you have to utilize the facility of Displays Preference. Suppose when you are trying out some other gadgets like projector, then you Clock and open up ‘Open Projector Calibrator’. In short AirPlay mirroring is just expertizing the capacity. 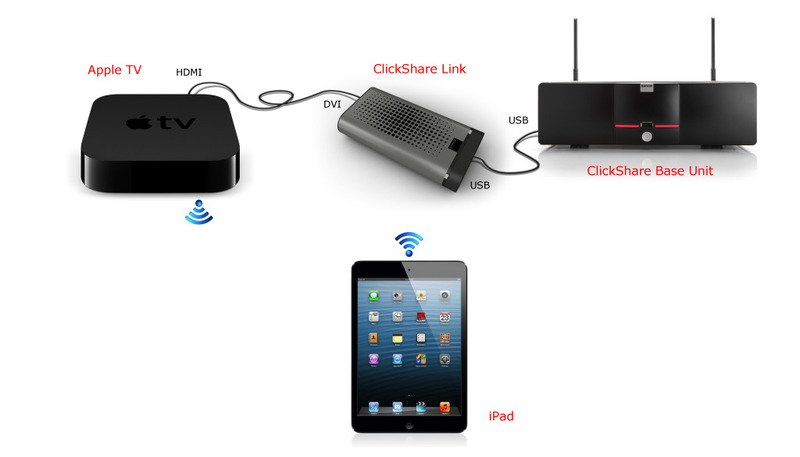 AirPlay enables streaming from your PCs to your HDTV. If you are using AirPlay music the advantage is to have the music being played over many devices with separate control for songs. The situation is the same in the case of videos in Apple TV. But the disadvantage here is that the movies cannot be played in more than one device. iPhone and iPad can be mirrored so easily. Before doing such things every user must be aware of certain following things. One must make sure that the AirPlay is supported on Apple TV. The iOS gadget of yours should be connected to the same Wifi Connection as the Apple TV. If WiFi is not available the connection can be done with the help of Bluetooth also. The Apple TV must be shown as a category in Control Center. Sometimes you may have to search through AirPlay to find out ‘Mirroring’ Option. When you have ultimately gone into mirroring process you are able to see the iPhone or iPad screen on the HDTV. The television will automatically adjust the screen size inorder to fit them.Even if you face problem with mirroring such as any lag or something, then this may be due to feeble WiFi signal or disturbance from other electronic devices. AirPlay and Chromecast are working on the same platform providing almost same utilities to the users. Perhaps the greatest difference that can be pointed out is that Chromecast requires a Chromecast app to be installed in iOS devices to work. This is not required for AirPlay. This is because it comes from the same company which developed both iOS gadgets and AirPlay technology. Also we are not able to use our Android devices with the Apple TV.